I’ve been struggling with keeping up with writing and the blog. Things just always seem to get in the way, or I just fail to take the time to sit down and do some writing. But when I don’t write, I still have all these ideas and posts I want to share floating through my head so I better try to get them down before they float on out of there. This week has been pretty tough on our family. 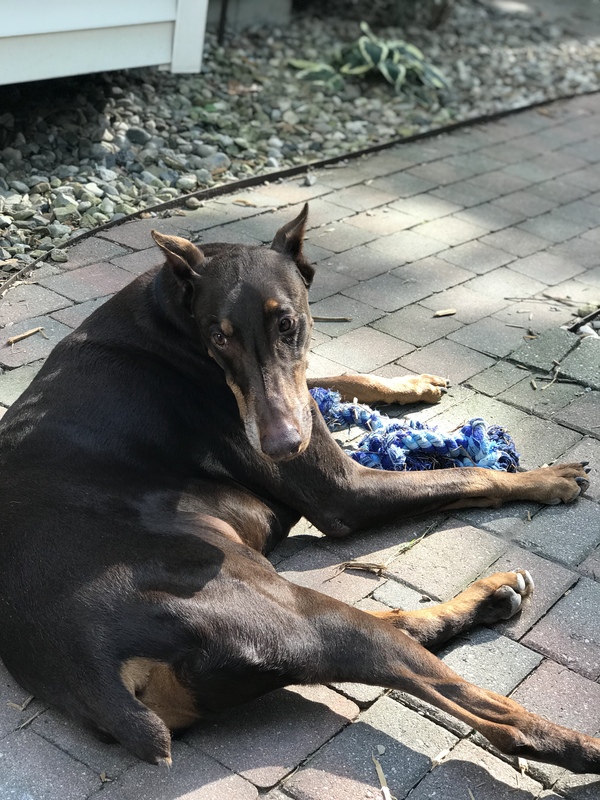 Our dog Kramer passed away suddenly Sunday morning. I had let him outside and back in wee early in the morning and he was fine. I tucked him back in on the couch and I went back up to bed for a few hours. When I woke up and came downstairs, I found that he had passed. It was probably a heart attack and I’m hoping it was quick, just as our Zeppelin went. I have so many “what if” thoughts about that morning. I wish I would have just laid with him on the couch for a few hours instead of going back up to bed. I wish I could have been right by his side during his last moments to tell him how much we loved him and that he was a good boy. He’s been a part of our family for almost a decade and it feels so weird not having him around. One thing I want to do is share the story of Kramer. He was such a great dog. I know everyone says their dog is the BEST, and everyone is probably a little biased, but we think Kramer really was the BEST dog. Here is his story. It was February of 2008. 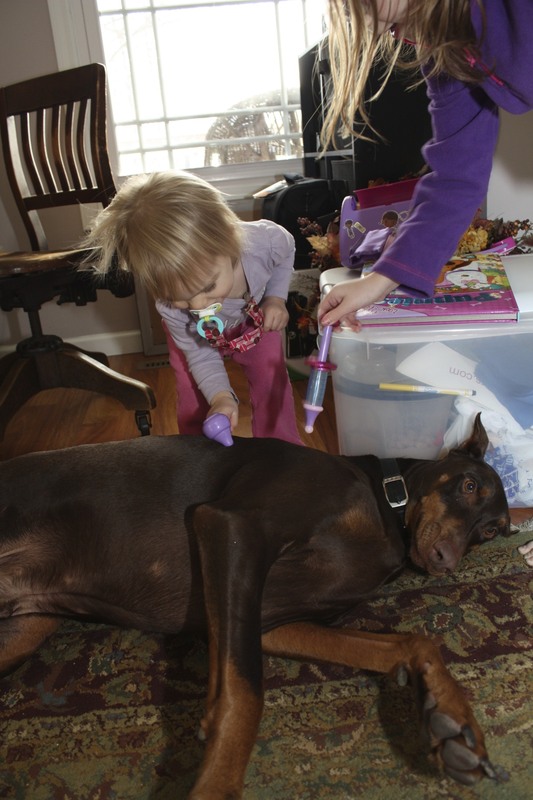 We had been through a lot of heartache with our dogs. 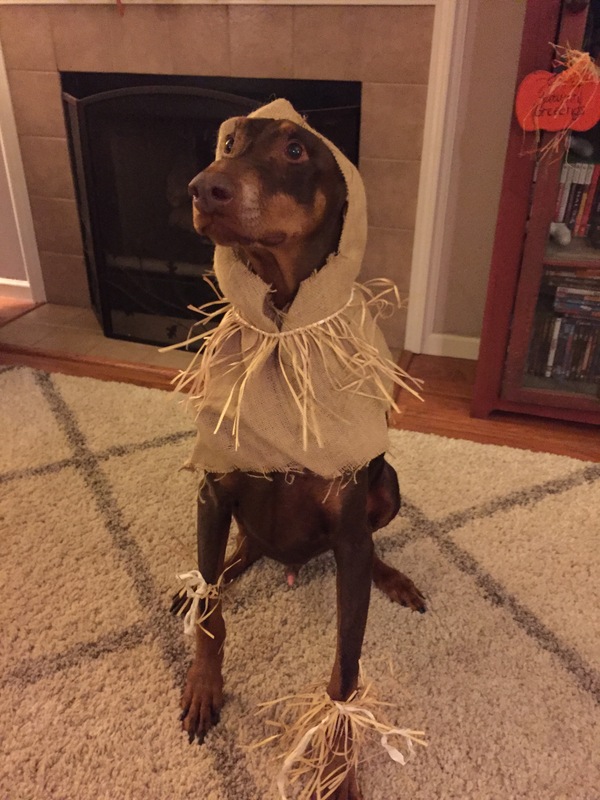 Months earlier, we had lost a doberman puppy that we rescued who died in surgery and then a few months later, we lost our second doberman to many health issues. So we just had our oldest dog Zeppelin at the time and I was very hesitant to attempt to get another dog and go through any more drama or heartache. I was very weary of bringing in any animal that may not get along with my sweet Zeppelin. But my husband was persistent and was searching Pet Finder every day. 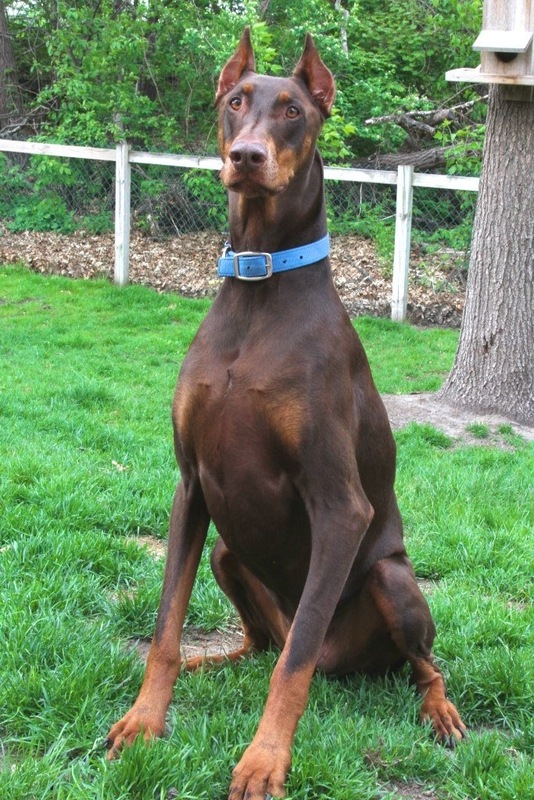 He came across a red male doberman about 10 months old at the Humane Society in Paris, IL. His name was Baron Von (something or other …). It was a long distinguished name. 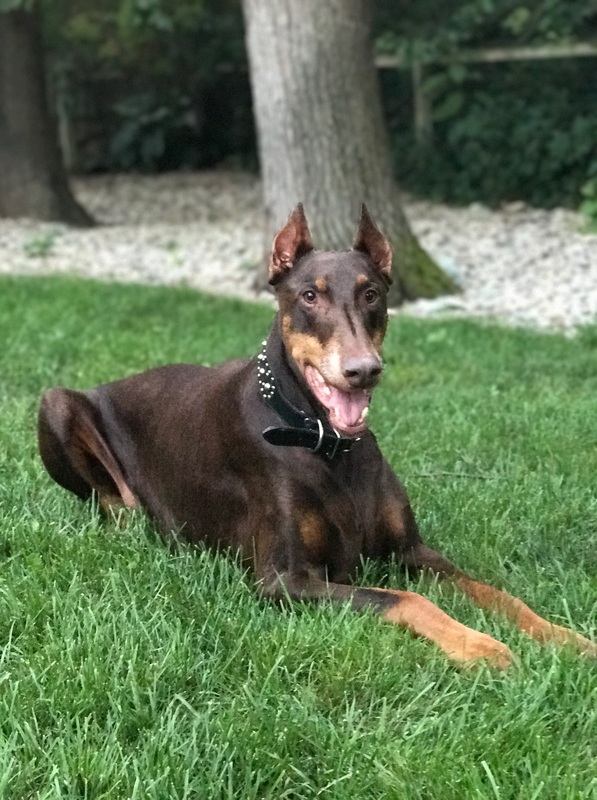 The little thumbnail picture of the dog showed his beautiful face and ears and his description didn’t say much, except he was a AKC registered doberman. We agreed to drive there and meet him. If you’ve never walked through an animal shelter, it’s not fun. I wanted to take them all home. The sad, scared looks on their faces was heartbreaking. We met Kramer and they let us go outside to get aquainted. He was a lanky 10 month old boy, who seemed so huge compared to our Zep. His coat looked dull and dirty. He was on the thin side, and he was excited. What we also saw was his potential. We didn’t know his history. Whoever owned him, paid money for him. He was cropped and docked. He was neutered. He was registered. Maybe he was too much puppy for them to handle. 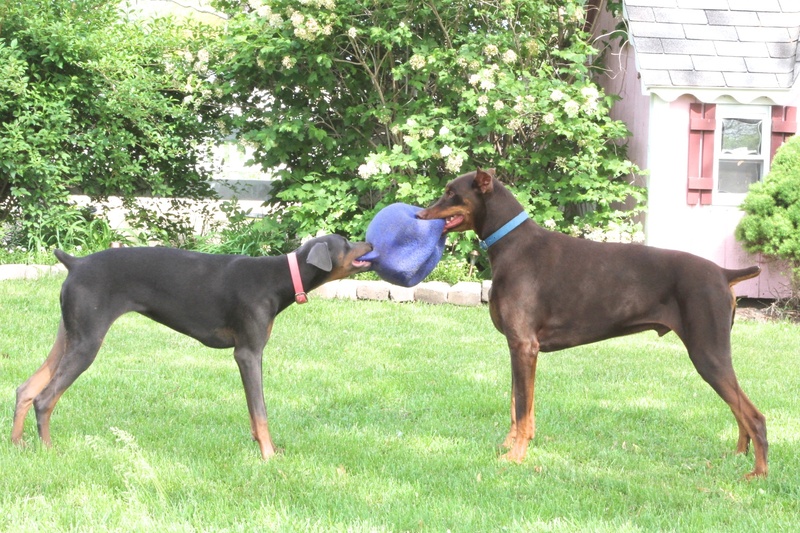 Dobermans can be destructive and need a lot of attention. Maybe it was a divorce, maybe military deployment. We just didn’t know. But we knew he deserved a good home. He deserved the life every dog should have. 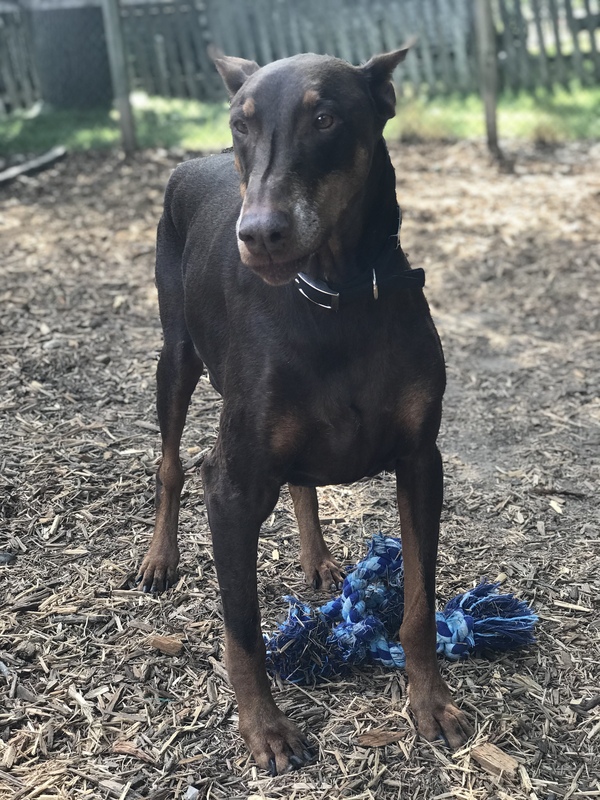 With this breed, unfortunately you have some that will try to use dobermans for outside guard dogs, chained up, or just want the breed because they look cool, but not understanding how velcro they are and how much socialization they need. So we took a chance and adopted him. I remember we gave him a bath his first night home because he stunk so bad. We quickly got him on some better food and his coat started to really shine. For a few days, we just couldn’t agree on a name. We knew Baron Von something or other surely didn’t fit this lanky growing giant. Then we thought of Kramer. Like the Seinfeld character, he was a big goofball. He was still in that dopey stage where he’d knock into things and his paws looked huge. So the name Kramer fit him to a ‘T’ and that was it. Somewhere along the line, we added in Joseph as a middle name. I think it just rang together. His initial meeting and first few days at home went good. Zeppelin put him in his place. He backed off when she scolded him like a mother to her son. He was a playful, eager to learn, and eager to please. This was Kramer a few weeks after we adopted him. Kramer responded quickly to leash walking and training. He was my running partner. He had tea parties with the girls, was the perfect patient for play doctor, was always up for dress up, and was always a sweet boy. One of his favorite spots in the house was perched up on the stairs so he could look out the windows and be on guard. He scared off many solicitors with his deep bark and intimidating game face. 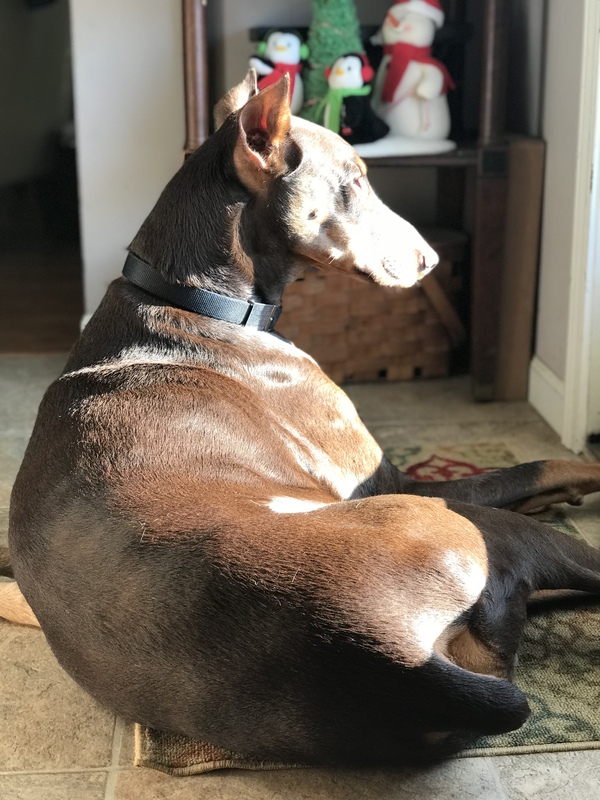 I loved this about him and it kind of freaks me out that this is the first time in over 17 years that our house has been without a doberman. 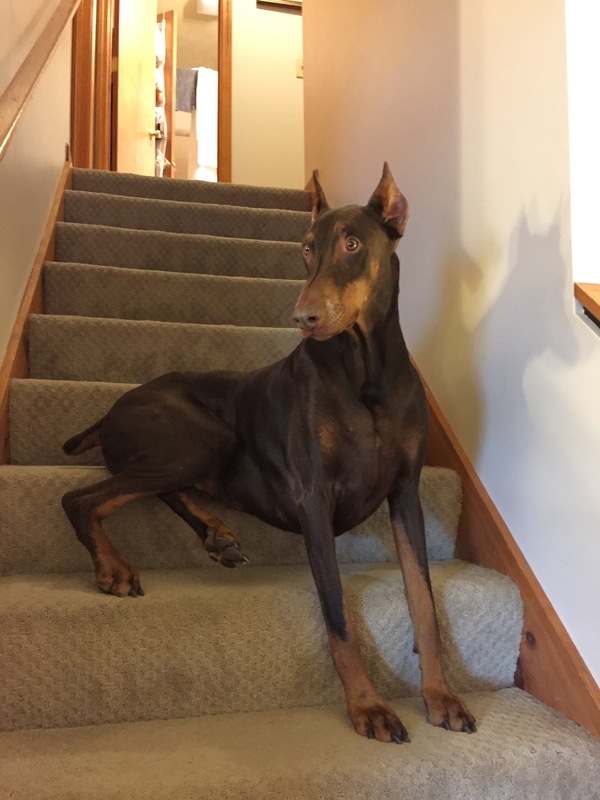 He was always on guard, but really he was just a big goof ball at heart and the biggest baby when it comes to those pesky fireworks and smoke alarms. He would hide in the shower. 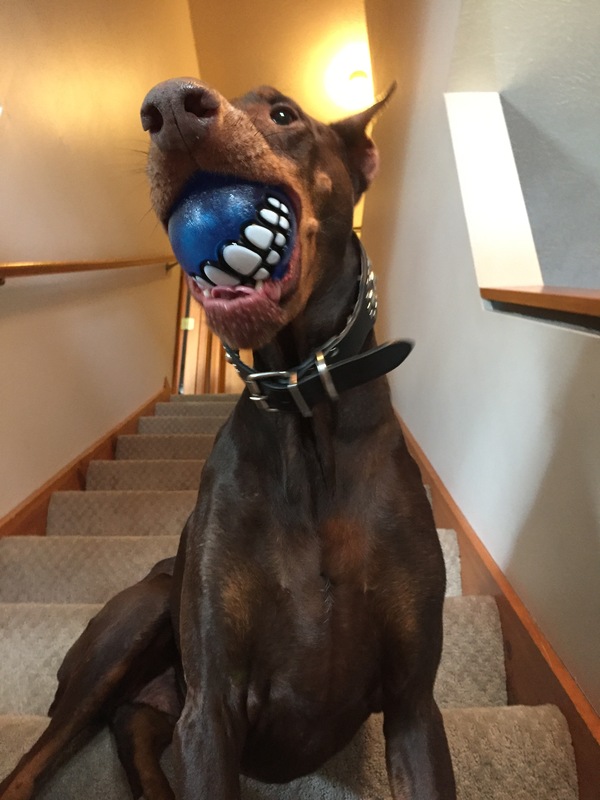 He absolutely loved playing fetch with a ball. 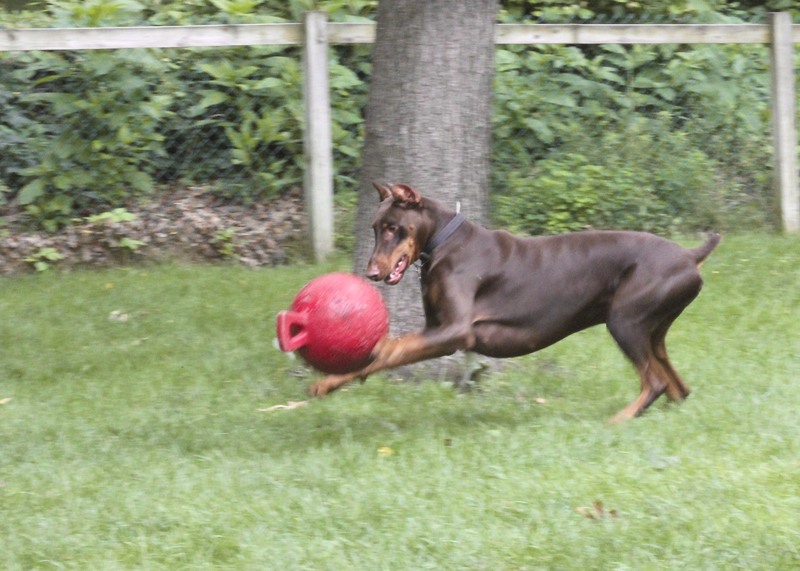 He loved big Jolly Balls in the yard, playing tug o ball with our blue doberman Zelda, tennis balls, racqueteballs, squeaky balls were a real treat. He would plop the ball in your lap, asking you to throw it while persistently whining, nudging up your arm, and begging until you did. When he was older, he injured his shoulders and we had to really stop letting him run so we had to limit it to catches in the air where he didn’t have to run. This still brought him so much joy and he always greeted guests with a toy so they would join in on playtime. 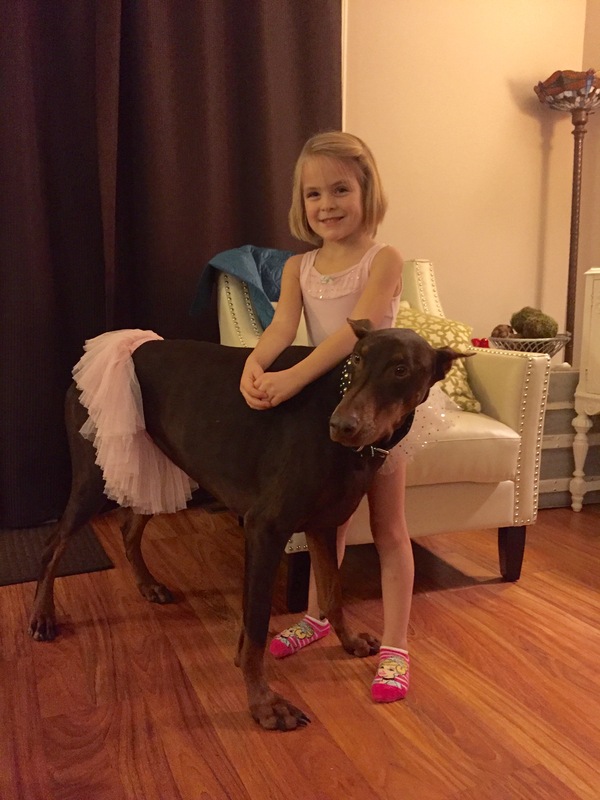 He was able to come to school to visit our daughter Lilly’s class and show off like a true ambassador for the breed. He was a gentle giant and loved kids. 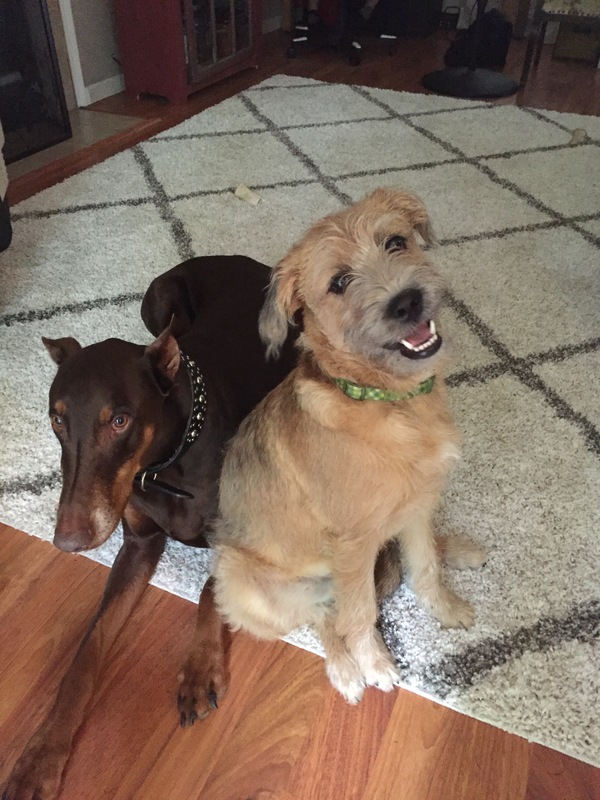 Over the years, Kramer was a good sport when we brought home new additions, and always warmed up to his new buddies. 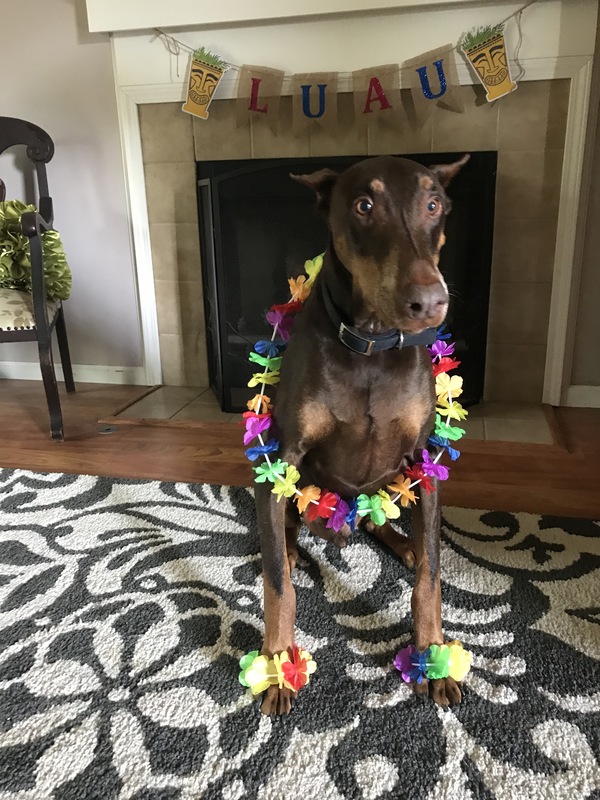 In May we celebrated Kramer’s 10th Birthday. 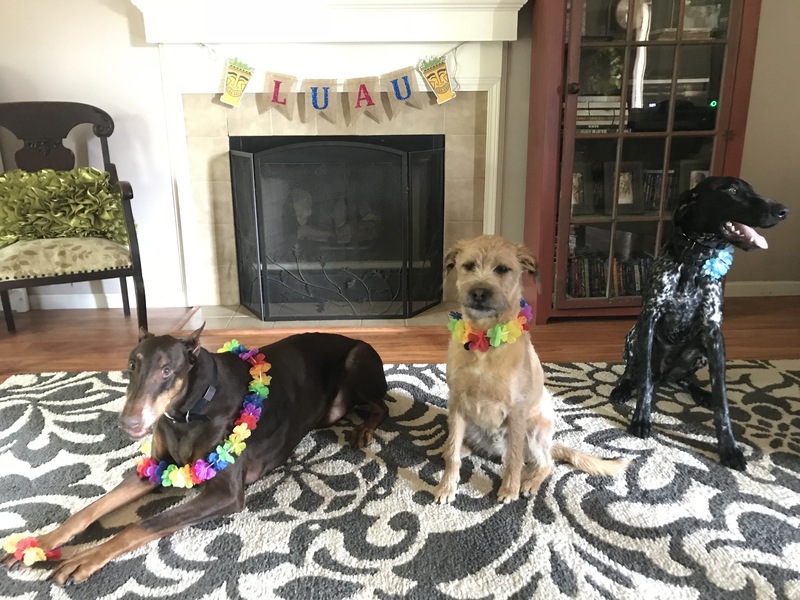 We had a little luau themed party that lasted less than 2 minutes! He devoured his hamburger cake and even ate the unlit candle before I could stop him. Don’t worry, I found it a few days later when cleaning up the yard. I’ve been a crying mess for the last few days and the other day I was doing a poop patrol in the yard and found some from him. I cried, realizing it was probably the last pile of his poop that I’d pick up and then I laughed at myself for how crazy that is that I was out there crying over the last pile of poop. I certainly hope my neighbors weren’t paying attention. Then I thought about all those crayons he loved to eat to make his poop a little more colorful for us. Sorry if that’s just too much information, but if you have dogs, especially large dogs – poop and poop patrol is a part of life. I catch myself still looking for him around the house, wondering why I’m not stepping over him laying in his favorite spot in the sun by the front door. Kramer’s side kicks are doing ok. I’ve never told you about Banks, but he’s our German Shorthaired Pointer. That’s a whole other post, but we’ve had him since last fall and today is his 1st birthday. I took these pictures 2 days before Kramer passed. Banks is now trying to take over as the king of the castle, even though he has his older brother George Costanza who’s next in line for the throne. Georgie boy has been sad since Kramer passed. He gives you these sad eyes and his little face is just so sweet. Last night, George slept on Kramer’s bed and snuggled with Kramer’s blanket which he’s never done before. It’s so sad. I wonder if dogs understand. If they are confused why Kramer’s things and his scent is still here, but he’s gone. I’ve been giving George extra snuggles and trying to talk to him, but then I start crying again and that’s no good. I wonder if they have memories and flashbacks of him like I do. I smile. I cry. I cry some more. 🙂 I had to go in public today so I had to get it together! I’m so glad that we have our two boys who can still wrestle and play together and get through this. I’m so glad our girls have George and Banks to help get through this. 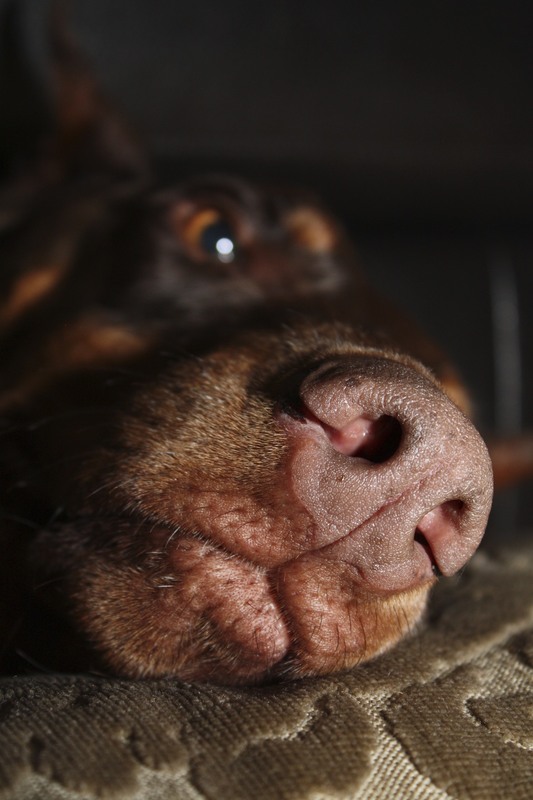 Our poor girls have lived through more loss in pets in the last six years than anyone should. It’s gut wrenching and you know you are setting yourself up for eventual heartbreak any time you have a pet that you will out live, but yet we still do it. We do it because we cannot imagine life without a dog. It would feel so empty. So quiet. So clean! 🙂 We cannot imagine our lives without giving a dog the love and spoiled rotten life they all deserve. One thing I know, is that our boy Kramer was loved and he loved us back big time. Our time with him was not nearly long enough. 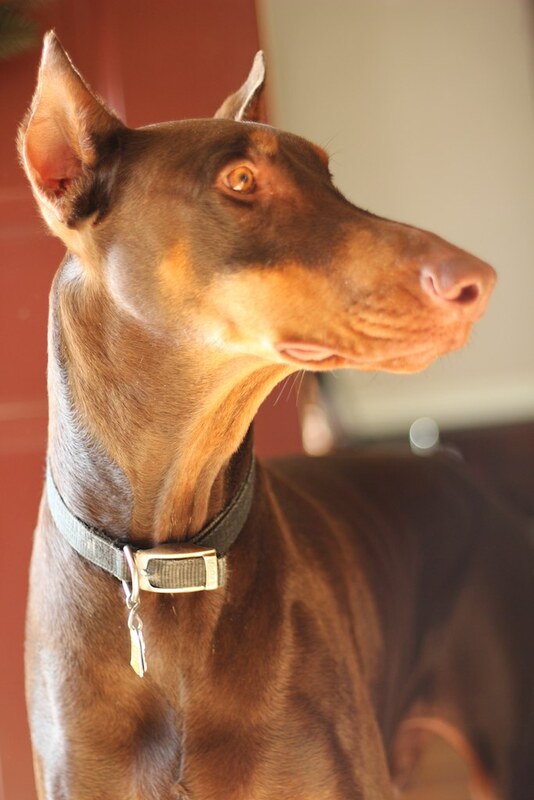 It never is, but I’m so glad we had the 9 plus years with him and I will forever have a special place in my heart for red dobermans. I love you, Kramer. They make life beautiful don’t they! Yes, they sure do! Wouldn’t know what life is without them!! Christy, I am so sorry to hear about Kramer. What a beautiful tribute for such a handsome and regal boy. Thank you Lori. So sorry to hear about your sweet dog. So sorry about Kramer. It’s so hard to lose a dog. What a great read this morning. your comments brought back memories of our Chaos. He made us laugh a million times a day. He did the half-sit which i think is hilarious…doing the sit-lean on the couch but front paws still on the ground lol and the farts , ohhhhh the farts! i have never experienced the audible noises in any other animal that came out of him!. As im sitting here im realizing im forgetting a lot of things about him, and how he affected us on the daily. it makes me sad..like how do i actually forget already! 😦 Those cuddles though, slowly invading the entire space your in, in order to cuddle you completely, that you cant forget, ever. 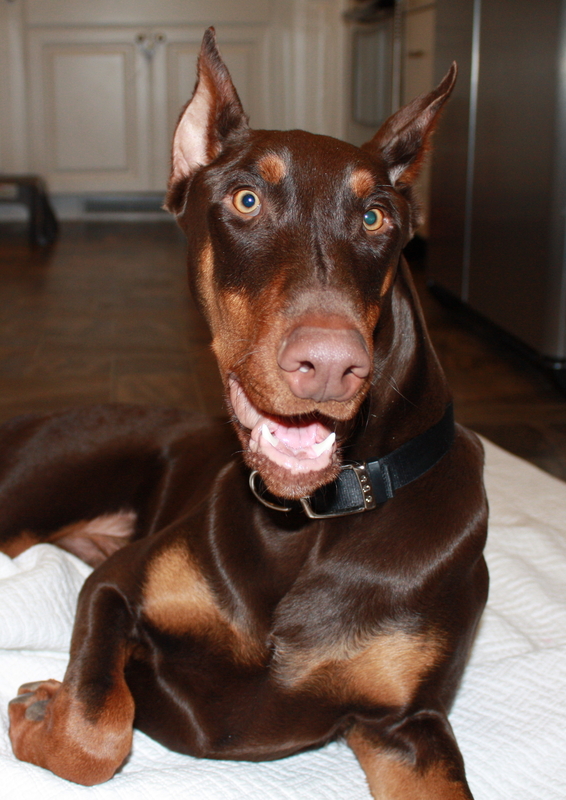 i dont know how i could love another breed any more than a dobe. 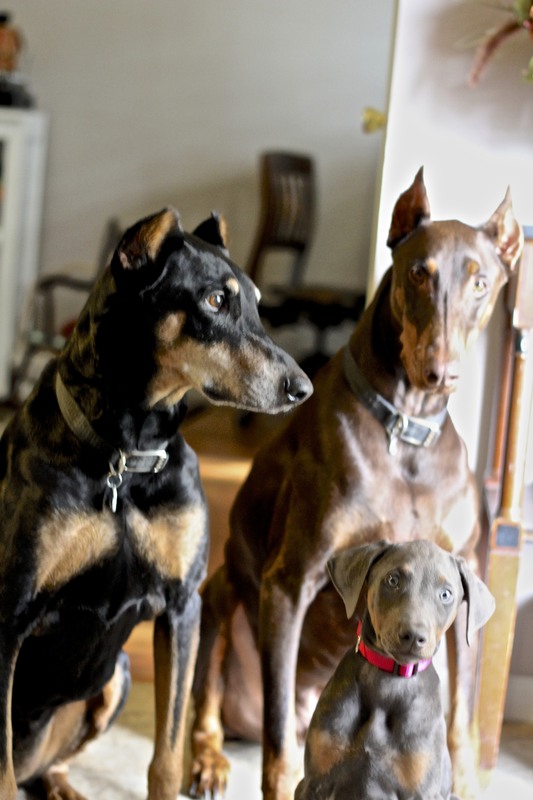 i loved that little black and brown doberkid. Im so glad i found your post. i love connective with dobe lovers. Such cute funny pics! im also looking forward to read the rest of your stuff! ..and will have to try out some of your recipes…im always looking for new dinner ideas!